Carriage bolts are round bolts with a small, square neck section under the head. They have a unified thread pitch and are made from low or medium carbon steel or stainless steel. 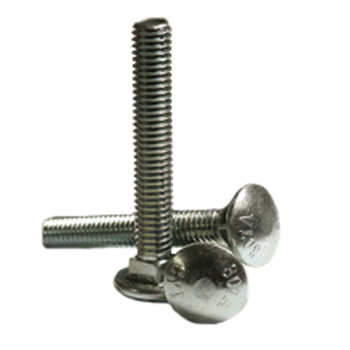 The square neck on a carriage bolt is designed to keep it from turning as a nut is tightened. Carriage bolts are most often used in outdoor furniture.